Shall I wait for the judgment? But, I did not do anything too cruel… Thinking so, the ending continues. Will add rating when a bit more comes out. Eh. It's not bad. There's not much to judge bc only seven chapters have been translated, but it's the basic Otome Villainess Reincarnation story. The trope used is the one where the original protagonist of the game is actually an antagonist. I did not read up till the translated chapters and dropped this series at chapter 9, please take this review with a grain of salt. The reason I dropped this series was mostly thanks to the lack of drama, or rather the lack of anything. Very quickly the engagement was broken off, and... great that's settled. The prince realizes he's in love with Tiararose and... she rejects him immediately for the LI (high spec prince). Although I don't particularly feel that it was wrong of her to reject him but, I can also say that it was somewhat unrealistic. She has been with him most of her life then because of this incident she quickly went to another guy. I seriously felt bad for the prince rather than for the protagonist and the LI because there was no emotional attachment towards anything but to the new LI. Best part though. was there are cute scenes of dating... yay? Generally the issue is there is a lack of conflict or cathartic emotion. Things get resolved so quickly to the point that it feels like a fan fiction of a story the author has read, then decided to expand it and the fact it is a "reincarnated into a game" feels like a gimmick that was the premise then discarded. (I notice there is a tag for multiple reincarnated individuals but it doesn't give enough substance to want to see where that goes.) Perhaps the story picks up a new arc but I don't feel like it needs to be continued in any way. Essentially, this is an Otome game plot featuring the love rival engaged to the prince, except as soon as the prince dumps her, the prince from the sequel picks her up. She only vaguely knows about the sequel, so she experiences uncertainty and jealousy. In other words, the villainess of the first game immediately becomes the heroine of the sequel/expansion. Finally a novel with a bit of common sense. You just don't casually steal a man who is already promised to marry someone else. Also with people who has a common decency to know what was right from wrong. They weren't as easily manipulated like the idiotic prince. For once, the MC is not humiliated by her ex-fiance and the damn heroine in front of everyone and she defended herself from the senseless accusations. What I don't like is the heroine awakening her powers, she didn't deserve it. Anyone can see just... more>> how self-centered she was. Still, it's great the ex-fiance prince realized his mistakes. You just don't throw away 10 years worth of relationship for someone you just met, you give her the benefit of a doubt and a chance to defend herself. I really love this novel so much!! Each chapter is so sweet and fluffy! I really love Aqua so much, he's the perfect man and husband you'll ever have, he cares so much for Tiara, he never fails to express his love for her. The idea is rather good, villainess MC is going to try her luck in romance with capturable character from otome game season 2. This novel was fine at first, but then it's boring. It's only about the daily life of an insecure girl that can bake. I gave it a chance but I can't read it anymore. The fluff was so so. Because everytime they kissed, the next day Tiara would became insecure again. It's tiring. They're married now, I don't know how the author gonna milk the novel now and I don't want to find out. Theres nothing to say other than how amazing this is!!! It's not my first time reading otome based novels where someone reincarnated into the villainous fiancée but this is just too cute!!! The ML loves her a lot and everything is fluffy and there aren't that many annoying plot lines like the love triangle that I usually dread. Alright. This novel is for girls. The romance between Aqua and Tiara is really sweet word by word. The Author seems really know how to make readers, aka me, rolling on bed giggling while imagining on it would be so lovely if someone I can be Tiara who is loved by Aqua that much, especially when Aqua proposed Tiara. A really sweet romantic and lovely read. The story itself is quite cliche, seeing as it fits many of the reincarnated into the villainess role tropes. But in its own way is unique, and actually quite cute. I would've loved to read more chapters but the translators have dropped it. So I'm hoping that someone else will pick it up soon (hopefully). This simply is amazing, the way that every character acts, feels and also given a chance to redeem (Hartnight). I just wish that the translation is a bit faster, but can't blame them since this is voluntary. I really like it. The storyline is very good and so are the translations. Definitely a must read. It's just too bad that there hasn't been an update for a while. 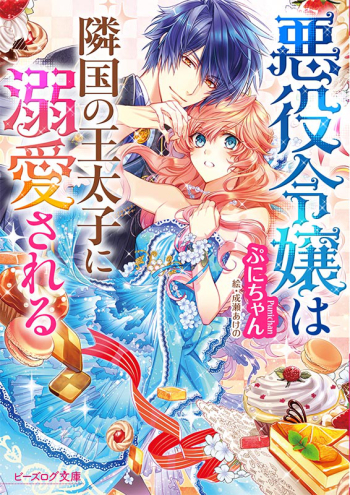 I really love the fluffiness and the cute integration between the male and female Lead, perfect for those that are not in to so much drama and wants to see fluffy moments between the leads~ I really hope someone else picks it up and continues translating, in the mean time I'll try my best to pick up Japanese just so I can read this!